Logic board problems are caused by physical damage, age, overheating, and liquid spills. Logic board problems are often completely fixable by hiring us to repair the board you have. Our success rate is incredibly high. If your machine exhibits any of those issues, this is the service for you. We will repair your existing logic board in 2-5 business days. You only pay the repair fee if we can fix your board. Power but no boot: you heard the sound of the OS but you don’t see anything in the LCD. About 80% of the time, MAC/Apple computers have this problem. The causes of this problem could be bad Input/Output controller chip, or bad video chip. No power at all: The causes of this problem could be bad voltage regulator, open circuit, short circuit, or loose connection. No boot: When you turn the computer on, you only see the question mark in the central of the LCD. The cause of this problem should be bad hard drive, bad hard drive controller or loose connection. Our service focuses on repairing, not replacing. 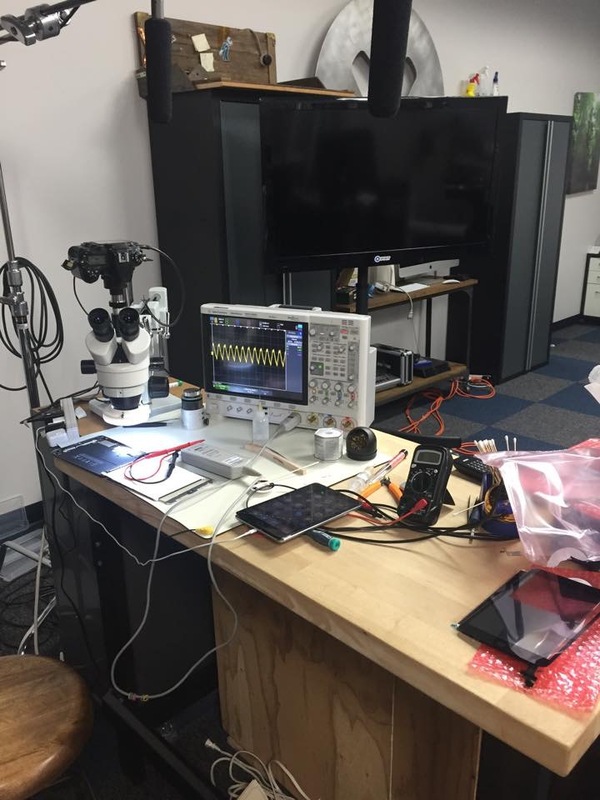 Whereas most repair services aren’t capable of analyzing a Logic board and swiftly tell you a new one is needed, our engineers’ expertise will comprehensively inspect your Logic board and salvage it to the best of our abilities. 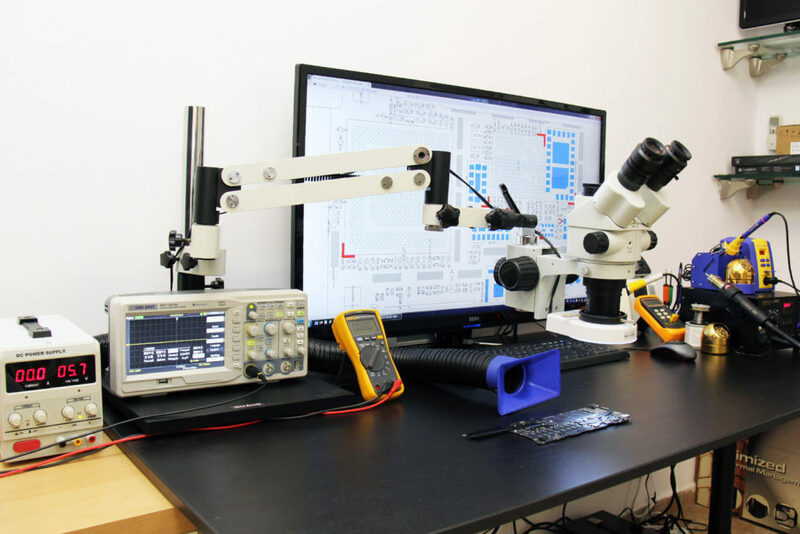 We employ cutting edge soldering equipment which repairs the diodes and capacitors on a logic board that typically cause failure.